Running in Bath, UK. 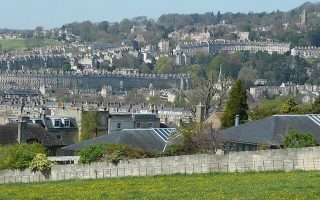 Best routes and places to run in Bath. 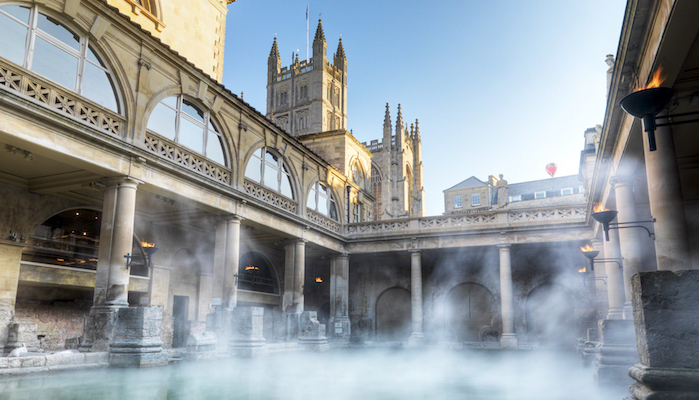 The largest city in Somerset, England, Bath is named for its Roman-built spas and known for its gorgeous Georgian architecture along the River Avon. The city has long been known as a fashionable vacation destination, and remains popular for its heritage and cultural tourism. Not only does Bath’s economy boast software and publishing powerhouses, it maintains a thriving arts and theater scene, hosting a variety of festivals throughout the year. 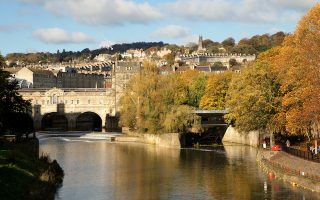 The scene for running in Bath is terrific, highlighted with numerous river and canal paths. The Bath Half Marathon (Bathalf), held each March, is famous. Bath is surprisingly well laid-out for a historic European city, and most of the best places to run in Bath are centrally located. We’ve mapped out a runseeing tour of the most significant baths, crescents, and parks, in addition to lengthy routes along the River Avon and Kennet and Avon Canal. Runners can also enjoy the quieter Two Tunnels Greenway, test their hill strength on Wellsway and Entry Hill, or enjoy a scenic trail loop on the beautiful Bath Skyline Trail. Most of our Bath routes are close to the hotels and tourist centers, but Bath has a decent bus network if needed. There are several park and ride options just outside the city that allow drivers to avoid traffic. The Bath Spa train station has connections to London and other significant destinations. For some of our longer distance canal/river routes, it’s possible to run one-way and take the train/bus back! Note that this is the U.K., so always bring running gear for damp weather! See the city’s top tourist attractions, from the namesake baths, to the historic residential “crescents,” and the stunning Royal Victoria gardens. Our ~7 km route begins and ends from Pulteney Bridge. The former Bristol and Bath Railway still connects the two cities with a paved, 24 km path along the River Avon. Near downtown Bath, it connects with the West Bath Riverside Path (River Avon Path) to Pulteney Bridge. 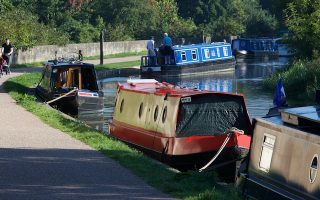 A celebrated towpath along the Kennet and Avon Canal, this route out of downtown Bath continues north to Bathampton and points beyond. We highly recommend the section from Bath to the Sydney Gardens. 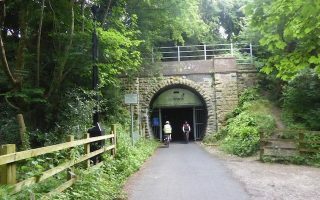 As its name suggests, this rural multi-use pathway includes two tunnels. One is over 1.6 km long with interactive light and sound features. The entire route is up to 9 km one way. Enjoy historic sites and lovely views of Bath from the hills encircling the city on this 10 km loop through meadows and woodlands. Other options include a Parkrun and connections to the Kennet and Avon Canal Towpaths. 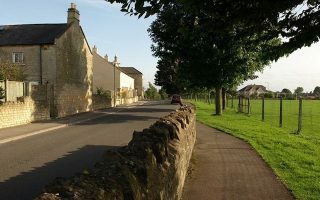 Take on one of the top hills in Bath with one of two streets surrounding the Entry Hill Golf Course. A round trip from Bear Flat is about 4 km. 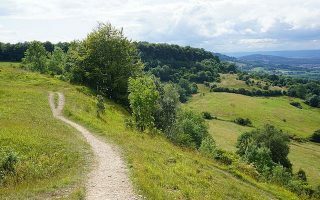 The Cotswold Way is one of the UK’s “National Trails,” a 100+ mile pathway through the countryside from Bath to Chipping Camden. A nice out and back from the city is from Bath Abbey to Kelston Round Hill. Bath weather is typical of England, although perhaps a bit drier. 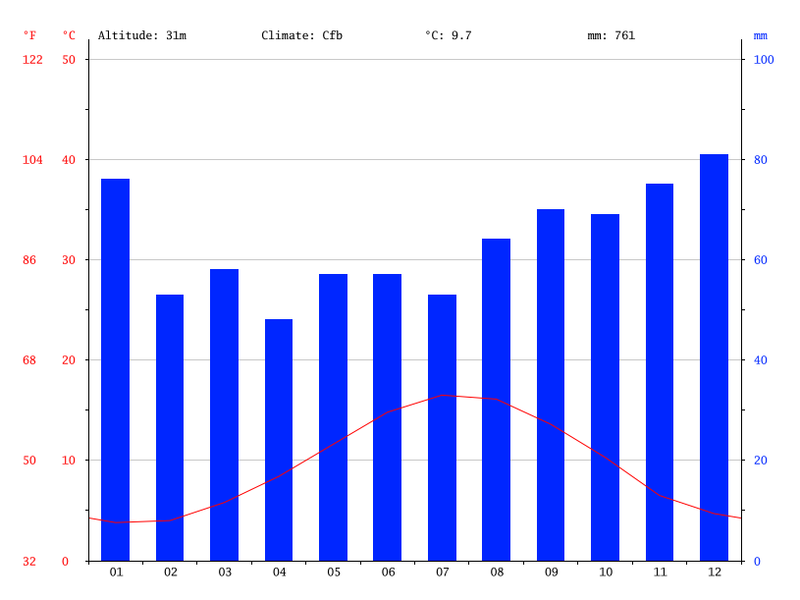 Summers are pleasant and mild, with average high temps near 21C (70F) and cool-ish nights. It rarely gets hot. Winters are damp and dark with average high temperatures in the 6C (45F) range and lows just above freezing. Snow and ice are rate. Note that even though there are a few number of damp days, average precipitation is only 18″ per year. Note also the difference in day length between winter and summer due to the northern latitude. Bath has a plethora of hotels, mostly centered around the downtown/train station area. 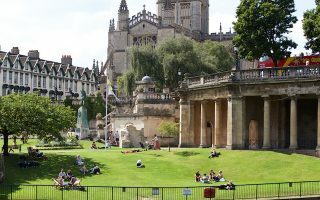 Check out the comprehensive listings for where to stay in Bath on VisitBath.co.uk. Running Bath is the top running store in the city. They have a nice selection of gear and give great advice! For a local running group, check out Run Bath. They post upcoming runs on their Facebook and EventBrite pages. There are a number of great running events in Bath, including the famous Bath Half Marathon, Two Tunnels Marathon, and the Bath Running Festival. Find a list of more upcoming running events at RelishRunningRaces.com.